Best known for producing legendary coach Paul Brown and superior high school football teams, the City of Champions title claimed by Massillon, Ohio, now includes Cheryl McIntyre, the first female to win the season-long NHC Tour. By accruing the most points from her top six horse-racing tournament finishes during the 2016 season, McIntyre will earn a $2 million bonus and be feted as the 2017 Eclipse Award champion horseplayer if she also wins the Jan. 27-29 National Handicapping Championship at Treasure Island Las Vegas. With her husband, fellow NHC qualifier Mike McIntyre, she participates in more than 200 competitions a year, both online and live. 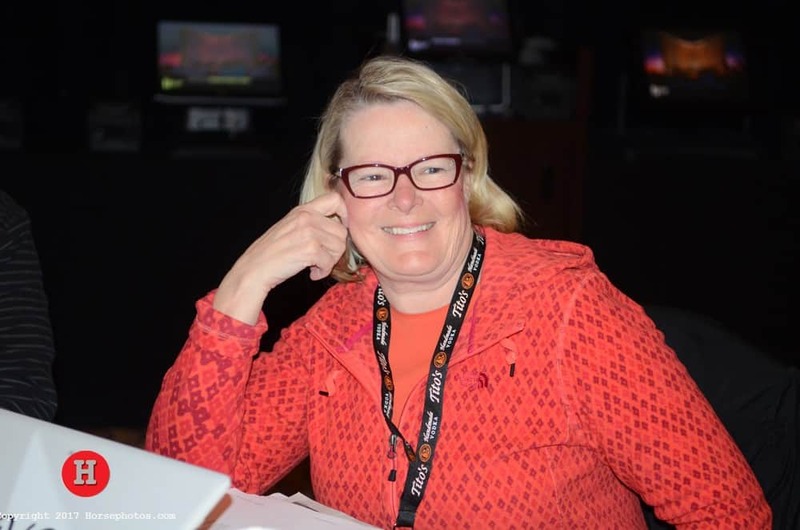 McIntyre, who has the maximum two seats at the NHC, spoke with veteran turf journalist Jennie Rees before heading to Las Vegas. Also having qualified for the $2.5 million NHC, which offers first-place money of $800,000, are the McIntyres’ son, Kevin, and his fiancée, Jill Himes, along with Mike’s brother Robert. How did you get interested horse racing? When did you go from betting on looks and names to serious handicapping? With all these handicappers in your family, who’s the best? What about being the first female to win the Tour? Is there a way you’ll prepare for the NHC? Do you think in terms of just making it to the Final Table and taking your chances, or each day do you just try to pick the most winners and let the rest take care of itself? What would you tell other women to get them involved? If more women got into it, do you think they’d say, “Hey, this is great”?